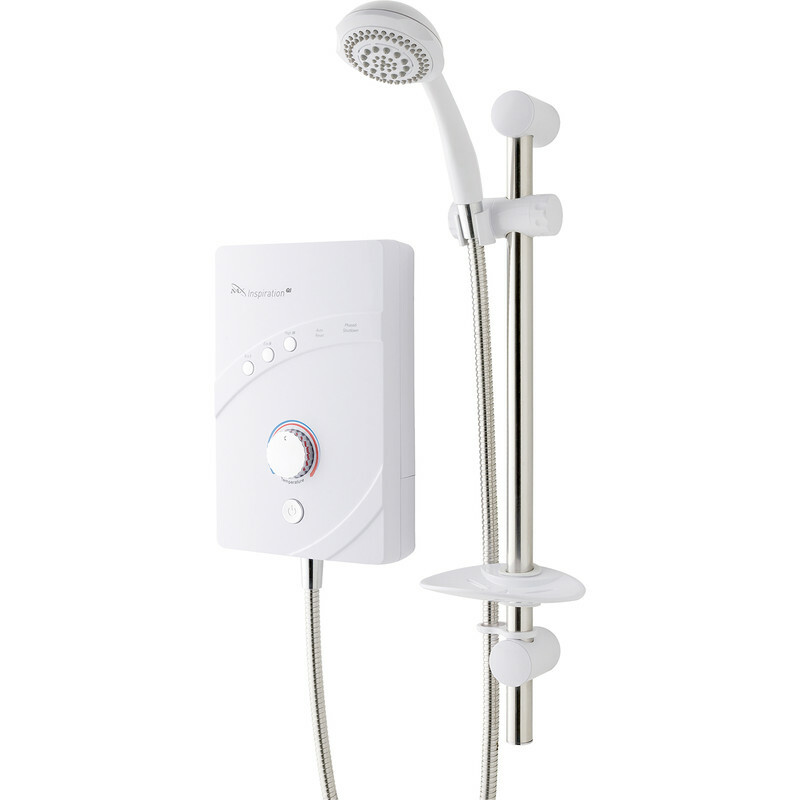 MX Inspiration QI Electric Shower 9.5kW is rated 4.6 out of 5 by 16. Rated 5 out of 5 by Madeleine from Easy to install We bought this to replace a similar model and are very pleased with it. Rated 5 out of 5 by KenM from More power and easy to fit. Bought this to replace my son's 7.5KW shower which had weak flow and had become noisy. It was installed easily, just a bit offset due to the position of the water feed pipe in the wall. Now my son has a much more powerful shower and is really pleased. Rated 5 out of 5 by millie 16 from its good i had to buy a new shower and looking through the book i found this one which i am very pleased with .